An Original Vintage Theater-Used Folded French One-Panel "Grande" Movie Poster of TRUE ROMANCE (1p; measures 45 3/4" x 61 1/4"). 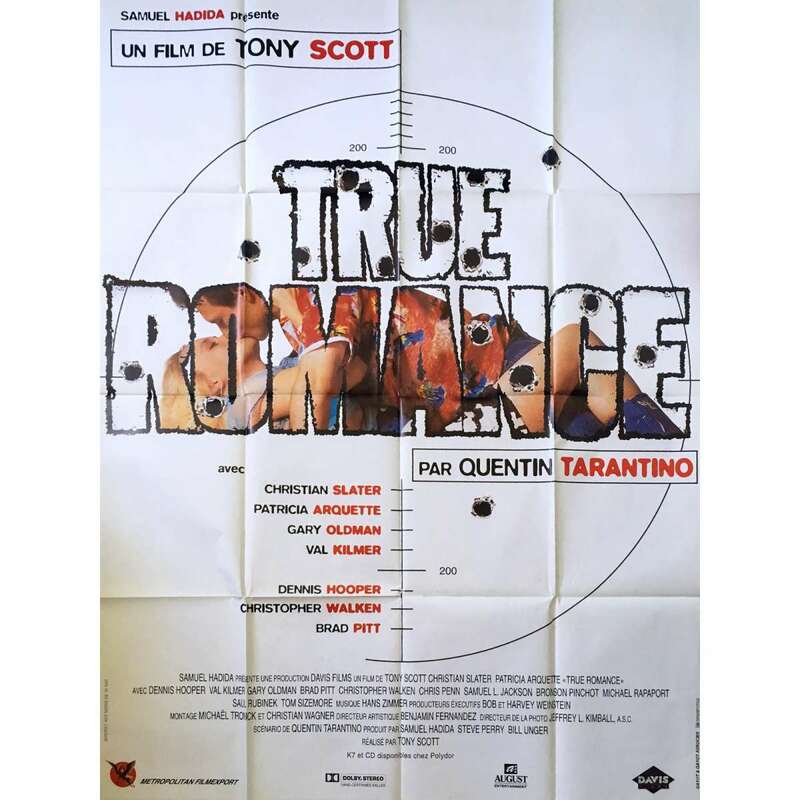 True Romance is a 1993 American romantic crime film directed by Tony Scott. The film stars Christian Slater and Patricia Arquette, Dennis Hopper, Val Kilmer, Gary Oldman, Brad Pitt, and Christopher Walken. The script was written by Quentin Tarantino.